The chief executive of Pepper Finance Corporation has moved to allay the concerns of Permanent TSB customers whose non-performing mortgages are being transferred to Pepper. 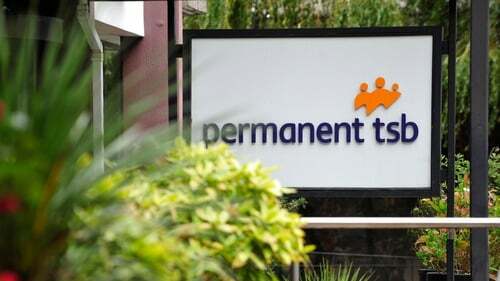 Permanent TSB entered into an agreement with Pepper last week, that will see a portfolio of non-performing mortgages removed from the bank's balance sheet. The agreement will see over 6,000 loans moved to a special purpose vehicle which will be financed on the bond markets. The nominal value of the loans was €1.3 billion, and Permanent TSB received €900 million for the portfolio. Cormac Ryan, CEO of Pepper, said the finance company recognises that every customer's situation is unique and each case needs to be treated on its own merits. He told the Oireachtas Finance Committee that when Pepper engages with customers in arrears, "we use our experience and range of alternative repayment arrangement solutions to work with these customers constructively and sympathetically, to, where possible, put in place sustainable solutions that are tailored to their individual circumstances and their individual situations." Mr Ryan outlined to the committee how Pepper plans to engage with customers in the Glenbeigh portfolio. He said all the customers transferring to Pepper in the next six months will be fully covered by the protections of the Central Bank's consumer protection codes and regulations as they were before. He said Pepper is legally obliged to adhere to, "and we will honour", the existing terms of any previously agreed restructure if the customer is meeting all the terms of the restructuring arrangement. "If the borrowers personal circumstances do not change and the customer engages in a review process, there is a legal obligation upon us to continue to comply with the terms of the existing restructuring arrangements, and we will do so," he told the committee. "Following a change in the borrower's circumstances, any change to the restructure will reflect the relevant improvements or disimprovements in the borrowers circumstances." The committee was also told that where a borrower's circumstances have disimproved, or disimprove in the future, Pepper will work with that customer to constructively find, where possible, a long-term sustainable solution to their individual situation that is in their best interests as laid down in the codes. "Every case is different and we are known for taking an individual and personal approach to working with customers based on a deep understanding of the customers circumstances," Mr Ryan said. Labour Deputy Joan Burton asked representatives from Permanent TSB if the sale of Glenbeigh is a final sale once the six months is concluded, and does the bank remain investors in the portfolio. Eamonn Crowley, Permanent TSB's chief financial officer said the bank will continue to hold 5% of the portfolio, which is a legal requirement. Mr Crowley said the bank does not have an anticipated return on that holding. He said the transaction closed on Thursday, and within six months, the full servicing of the portfolio will switch to Pepper. "So in the first six months, PTSB will continue to deal with customer calls, deal with customer interaction," he explained. "We will do that as sub-servicer, so Pepper are the master servicer in that regard, but we will sub-service for the first six month. Legal title to the mortgages will transfer at the period as well, so with the purpose of the interaction with the customer in relation to these mortgage exposures, our interaction will cease at that moment and Pepper will become the prime party for communication to the customer." Mr Crowley added that many of the customers have current accounts and other products with the bank and that relationship will continue.